Missing teeth can not only detract from your appearance and diminish your confidence, they can also lead to oral health concerns over time. Fortunately, patients who are seeking the best restorative treatment for missing teeth can turn to Dr. Kenneth R. Giberson for the placement and restoration of dental implants. We can review the full benefits of dental implants during a personal consultation at our Fairfax, VA, practice. Contact us today to schedule an appointment and learn more. Dental implants are small titanium posts that are surgically placed in the jaw to replace missing tooth roots. After surgery, the posts become fused with the surrounding bone through a natural process known as osseointegration, allowing implants to provide an unmatched level of support for restorations. Depending on your needs, we can place a single implant to secure an implant-supported crown, or use multiple implants to replace an entire arch with an implant-supported denture. Once your implant-supported restoration is secured in place, you can enjoy a smile with renewed strength and function. At many practices, the placement of dental implants is performed by an outside doctor. However, Dr. Giberson has years of experience performing nearly all aspects of implants treatment, from surgery to the planning and placement of your restoration. Dental implants patients can experience a number of benefits. In the past, dental bridges and dentures were the preferred way to replace missing teeth. However, traditional bridges are secured by dental crowns on each side, which requires healthy teeth to be reshaped, and traditional dentures can slip and fall out of place because they are secured by clasps or adhesives. By supporting your bridge or denture with implants, you can eat, speak, and smile with the confidence of knowing that your prosthesis will not move out of position. Additionally, dental implants also provide a unique benefit to a patient's oral health. After losing a tooth, the surrounding area of the jaw will begin to atrophy, or shrink, which can lead to even further tooth loss in the future. By fusing with the surrounding bone, dental implants help to return stimulation to the jaw and halt this bone degeneration. Implants are the only restorative treatment that can offer this benefit. At many practices, the placement of dental implants is performed by an outside doctor. However, Dr. Giberson has years of experience performing nearly all aspects of implants treatment, from surgery to the planning and placement of your restoration. If you are missing teeth, Dr. Giberson can evaluate your candidacy for dental implants during a personal consultation. In addition to other factors, good dental implants candidates should have enough healthy jawbone density to support the embedded posts. If we find that you do not have sufficient bone density for treatment, Dr. Giberson can perform a bone graft or ridge widening procedure to improve your candidacy. In most cases, Dr. Giberson will perform these treatments here in the office, but in other situations, he may refer you to a local specialist. Dr. Giberson and his entire team continually strive to help patients select the dental treatment that is best suited for their needs. 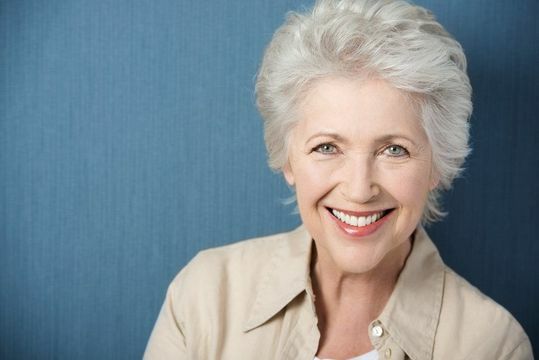 To discover if dental implants are right for you, schedule a personal consultation today. Please feel free to give us a call or email us if you have a question or would like to schedule an appointment. If you are a new patient, we encourage you to print and to fill out the New Patient Forms prior to your first visit.